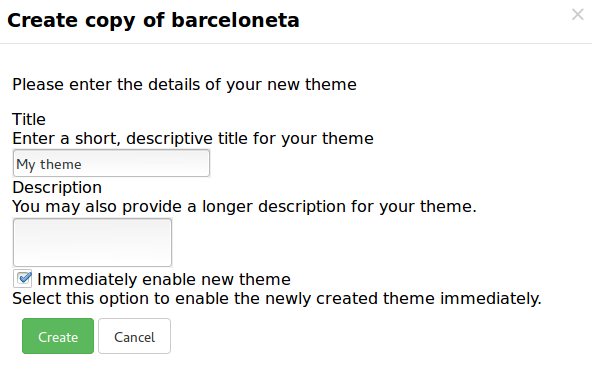 The second one will be covered in detail in TTW Theming II: Create A Custom Theme Based On Barceloneta. Diazo is a theming engine used by Plone to make theming a site easier. At it’s core, a Diazo theme consists of an HTML page and rules.xml file containing directives. You can find extended information about Diazo and its integration package plone.app.theming in the official docs for Diazo and plone.app.theming. Plone renders the content of the page. 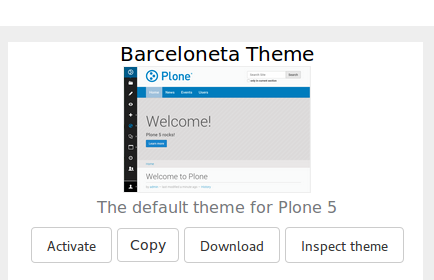 Look for the Barceloneta Theme and click the Copy button next to it. To better understand how your theme is arranged start by reading the manifest.cfg file. In the theming tool, open the manifest.cfg spend a minute or two looking through it, then see if you can answer the questions below. Look back at the <body> classes for a manager. Can you answer the following questions? Let’s open the default rules file rules.xml. You will see all the rules that are used in the Barceloneta theme right now. For the time being let’s concentrate on how to hack these rules. We want to hide it for anonymous users (hint: we’ll use the <body> classses we discussed above). The attribute css:if-content allows us to put a condition on the rule based on a CSS selector that acts on the content. In this way the rule will be applied only if the body element has the class .userrole-authenticated. 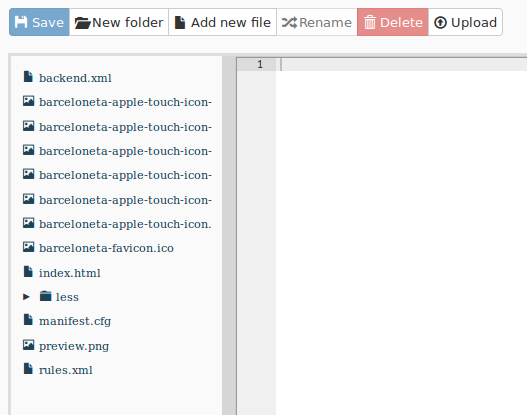 In the theme editor open the file less/barceloneta.plone.less. This file is the main Less file as specified in the manifest.cfg. Click the buttons Save and Build CSS. At the moment you need to “Build CSS” from the main file, the one declared in the manifest (in this case less/barceloneta.plone.less). So, whatever Less file you edit, go back to the main one to compile. This behavior will be improved in the future, but for now remember this simple rule.